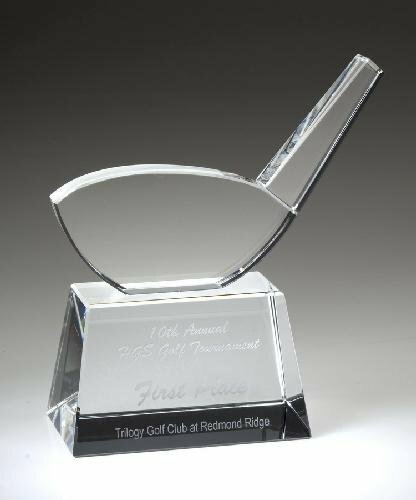 The Crystal Golf Ball on Facet Column w/Black Base award is an excellent employee appreciation and recognition award, achievement award, customer appreciate award and sales award. 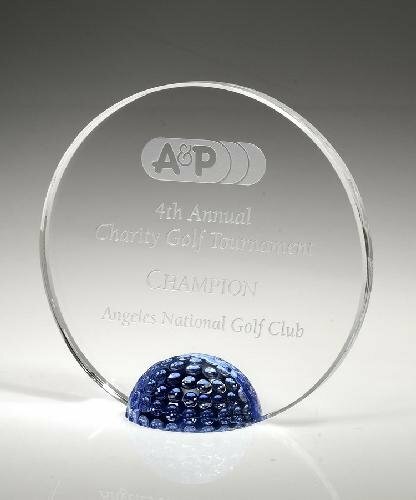 This crystal award text will be a frosted white color when engraved. A crystal golf club head attached to a crystal base. There is space for engraving on the base or/and the golf club head. 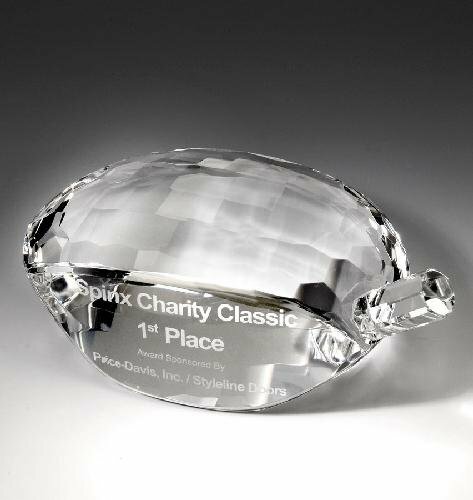 A crystal trophy in the shape of a driver head. The top of the driver head is faceted to give it an elegant look. The face of the driver head is large enough for engraving.